The Himachal Pradesh Government has identified 113 sites to be developed from eco- tourism point of view, the Chief Minister Jai Ram Thakur said. At the inaugural function of two-day international conference on ‘Eco-Tourism Potential in Himachal Pradesh’, organized by the state Forest Department and the Eco-Tourism Society of Himachal Pradesh at Atal Bihari Vajpayee Institute of Mountaineering and Allied Sports, Manali today, Thakur said that five sites will be given on PPP mode, 16 to the State Forest Department and 47 to HP the State Forest Corporation for starting eco-tourism activities at these sites. He said that in addition 25 new destinations would be developed by constructing log huts in the lap of nature. He said that three eco-tourism hubs would be developed during the current financial year. He said that 10 places would be developed from adventure tourism point of view with the close coordination of Eco Tourism Society, Tourism Department and Mountaineering Institute, Manali. He said that 31 eco-tourism circuits has been prepared and would be sent for approval to the Centre. Jai Ram Thakur said that nature parks and herbal gardens were being developed in the State. 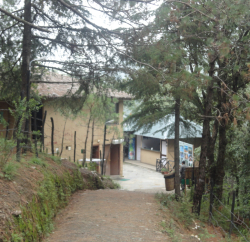 He said that 50 Forest Rest Houses have been used to start eco-tourism activities in the State. He said that efforts would be made to link eco-tourism with the rural life, culture and traditions. The Chief Minister also presented a proposal of eco-tourism development in the State to the Union Minister. He also released a souvenir brought out by the Eco-tourism Society of Himachal Pradesh and a souvenir of Roerich Art Museum. Union Minister of State for Tourism Minister K. J. Alphons said the future of India was in tourism as global tourism grew by 7 per cent, but tourism in India grew by 15.6 per cent. He said that every part of India is unique in itself and a real treasure house of surprises stored for tourists. He said that Himachal Pradesh has immense potential for adventure and nature tourism. He said that private entrepreneurs should be involved in a big way to harness the immense tourism potential of the State. 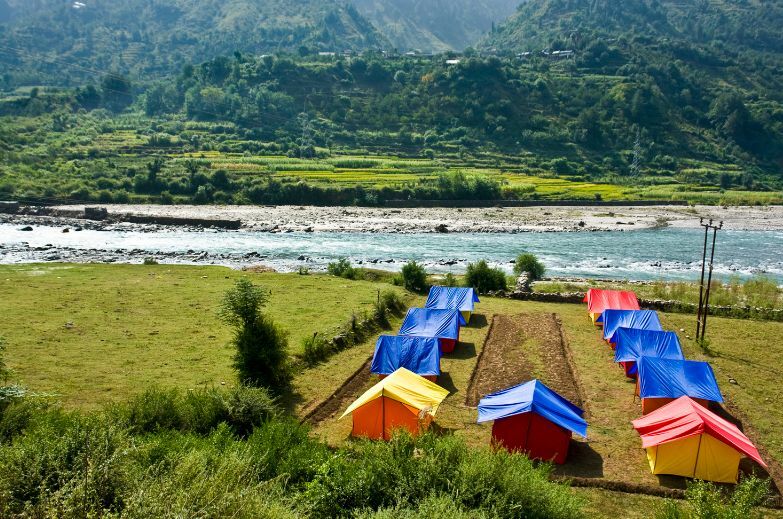 Aiming at “diversification” of tourism, the Himachal Pradesh government has launched ‘Nai Raahein Nai Manzilien’ scheme worth Rs 50 crore for identifying unexplored and untapped tourist places in the countryside. 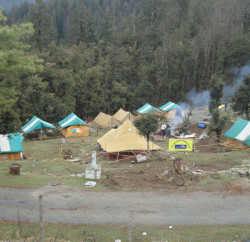 These circuits include Jogindernagar- Barot-Kothi Kohar-Rajgungja-Bir- Billing, Sundernagar-Chail Chowk-Kamru Nag-Shikari Devi-Janjheli, Shimla-Khara Pathar-Rohru-Sandasu-Larot-Chanshal-Dodra Kwar, Dhauladhar Circuit, Buddhist Circuit, Bhakra-Bilaspur-Sundernagar-Jogindernagar-Pong Dam, Solan-Habban-Rajgarh-Shillai, Manali-Rohtan-Tandi- Udaipur-Killar and Narkanda-Baghi-Khadrala-Chini (Kalpa)- Pangi Circuit. A committee of Tourism, PWD, Forests, Language, Art and Culture officers will visit the selected circuits and propose the activities to be undertaken after consulting the local panchayats and stakeholders. Parks, rain shelters, toilets, street paths, walking trails, beautification of temples, landscaping, sarais, community halls, trekkers hostel, Roads widening, Signages and traffic directions, parking’s, Lighting, dustbins, solid waste system improvement etc. would be developed in these circuits.